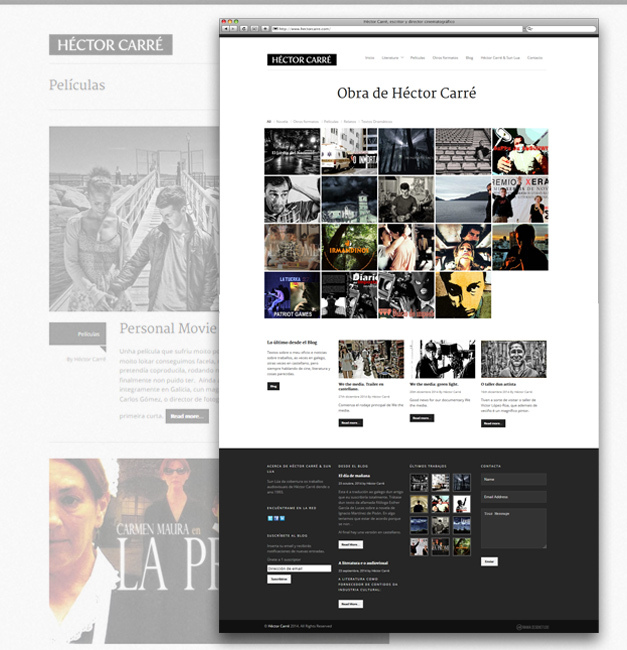 Hector Carré is a writer and film director born in La Coruña, Spain. In this case I was approached to develop his new website, a common place where users are able to find a compilation of works and projects from the writer and director. 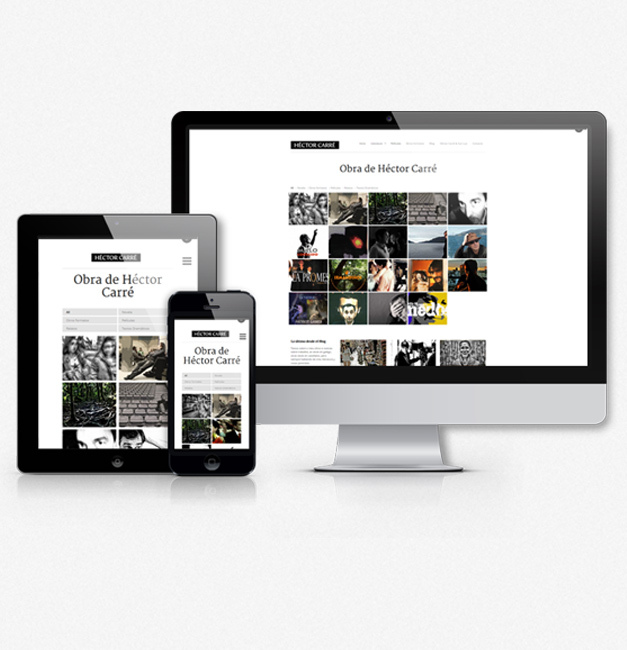 The idea was to create a simple and functional site focused in his different works. To do this, I highlighted a filterable portfolio sorted by categories in the main page. 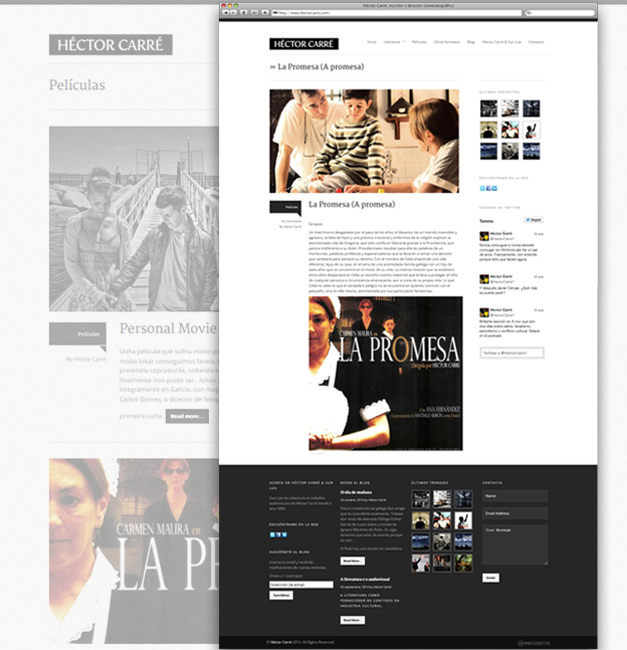 The website works under WordPress it integrates social networks and a responsive design. All in all this is a pragmatic, minimalistic and useful site.